DAY 9 OF DEBBIE'S VIRTUAL VACATION! Day 9 of our trip around the world brings us to the land down under! Even Nemo himself would love to explore all the beauty and cultural diversity of Australia. This is a remarkable adventure where your family can experience first-hand many of the iconic features we associate with this continent from The Great Barrier Reef to Sydney to kangaroos and boomerangs! After today we only have one more day of our incredible journey so be sure to take a few moments to sit back, relax and dream!! DAY 8 OF DEBBIE'S VIRTUAL VACATION! Adventures By Disney - Costa Rica! DAY 7 OF DEBBIE'S VIRTUAL VACATION! Adventures By Disney - China! DAY 6 OF DEBBIE'S VIRTUAL VACATION! ADVENTURES BY DISNEY - GERMANY! DAY 5 OF DEBBIE'S VIRTUAL VACATION!! ADVENTURES BY DISNEY - UTAH ARIZONA! Now it's time to switch gears a bit. We are about to crisscross the globe by exploring the Adventures by Disney collection! These are amazing guided tours that focus on destinations around the world. There are no Disney characters waiting to sign your autograph book here. Rather these are exclusive opportunities to world travel with your family under the guidance of Disney's experience and expertise of providing families unsurpassed service. So grab your cowboy hat and let me hear a yee-haw as we head out to our country's natural playground, Utah and Arizona! DAY 3 OF DEBBIE'S VIRTUAL VACATION! Grab your jacket and some fuzzy mouseears cause today we are off to Alaska! Who hasn't dreamed of heading north to the final frontier? What an amazing cruise to share with your family. 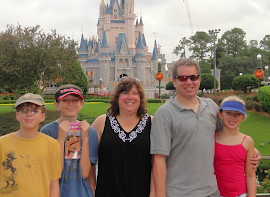 The opportunity to visit an incredible destination coupled with all the amenities and magic of a Disney vacation!! Disney Cruise Line's fleet is a gorgeous collection of ships. But the real magic is what they offer onboard! Not only is there truly something for everyone, but the level of service and the magnitude of the magic is nothing short of what you would expect from Disney! Join me as we explore what a Disney Cruise can offer your family! Are you ready to dream?!! DAY 1 OF DEBBIE'S VIRTUAL VACATION! EXPLORE THE MAGIC OF DISNEY'S CASTAWAY CAY!